You’re right…. I will never use alfredo sauce from a jar again!! Thank you so much for sharing this recipe. It was delicious!!! This was amazing! Very decadent and definitely a once in a while treat but oh so good. I see you have it in a jar. 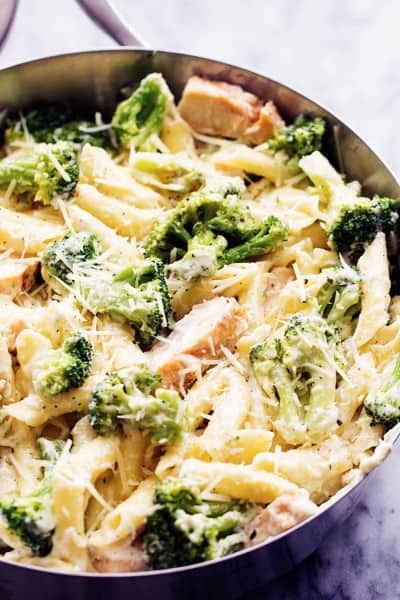 Can you make it ahead, refrigerate and reheat it and then pour over pasta? Made this up and mixed with pasta and our leftover Christmas ham, and the whole family loved it! Going to be trying Alfredo Italian Sausage tonight, but really, anything that would be good with alfredo sauce will be wonderful with this. So easy, too! Thanks Alyssa! You should use Parmesan Regianno, not just Parmesan. Also I like to add creme sherry just a shot. This was delicious! Thank you for sharing. It’ll be the only version of alfredo sauce I ever use from now on. Puts packet/jar sauce to shame. Hello! I was wondering if you have ever made this sauce and froze it? If so, did you do anything different to it? Why is it that it doesn’t last? What happens to it? It will separate and it does not last as long as a shelf life. We have never had it last longer than 2 days but it will go sour and spoil. I absolutely love this recipe!! Its so easy and super tasty. I have passed this recipe on to quite a few people. OMG!!! Alyssa. This is true to the name. 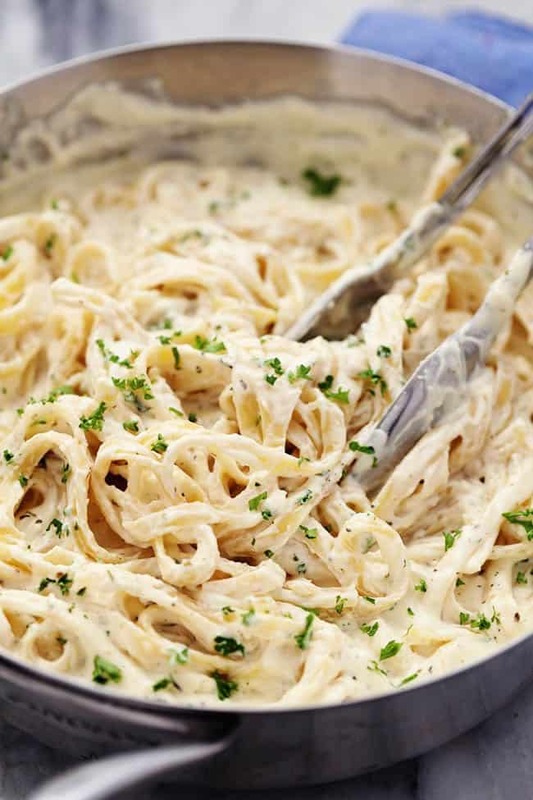 HE BEST ALFREDO RECIPE EVER!!!! I will admit I was a jar or packet sauce girl myself. One day I used water instead of milk for the packet sauce, I guess 8 was so irked and tired from work I didn’t pay attention. I quickly searched for a recipe and yours came up first. I had all the ingredients and WHAM!!!! NEVER GOING BACK!!! Alfredo sauce was a huge hit eith the hubby. The flavors are well balanced and ut makes the perfect amount for 1 pound of pasta. Love ut. Thanks for sharing. I always use shredded Parmesan cheese and it’s amazing !!! Really good thanks i added a pinch of nutmeg and a splash of marsala wine.. I also used whole raw milk. very easy and very quick! Tasty, easy,fast ..the moms trifecta!! This was amazinggg!!!! 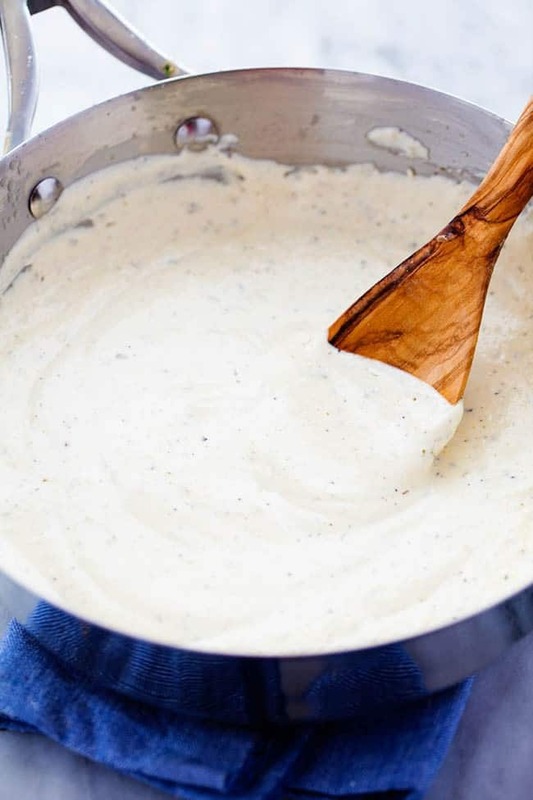 Best Alfredo sauce ever! Would you say this makes about 16 servings? I followed the instructions very carefully but my sauce separated into curd-like parmesan clusters and thin oily liquid. Is there some trick or skill required. Please share. Me too! Trying to figure out what I did wrong. Used milk instead of heavy cream, cuz that’s what I had, but otherwise followed the recipe… curdy, oily mess! (Well, I guess buttery is more accurate and more appealing! Ha.) Delicious!! but not pretty. I could tell while it was still cooking that it was “broken”. Used real grated Parmesan, not “sprinkle cheese” as it was known in my childhood. Lol. Did I get it too hot? Or is it because I used milk? I’d love some advice! For those having an issue with it separating, I would suggest getting the cream cheese and butter close to room temperature first. I kept mine out for about 20 minutes. Begin cooking the butter, heavy cream, and the cream cheese on low hot and constantly stir. Add the grated Parmesan (not the powder stuff!) after its well mixed. Hope it helps someone! Also this recipe is so delicious and good! 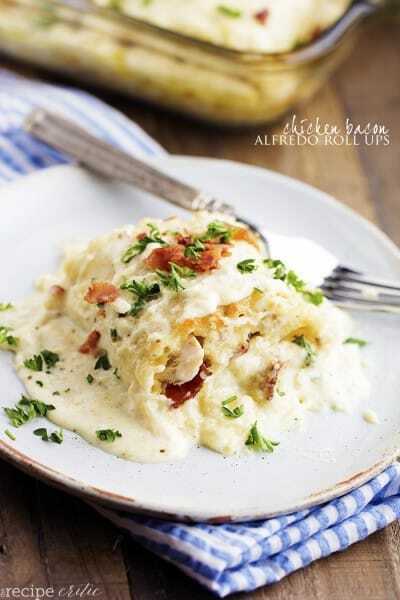 ive made a few different recipes over the years for Alfredo sauce. Everyone agreed this is hands down the best one. It’s a keeper. Thanks!! 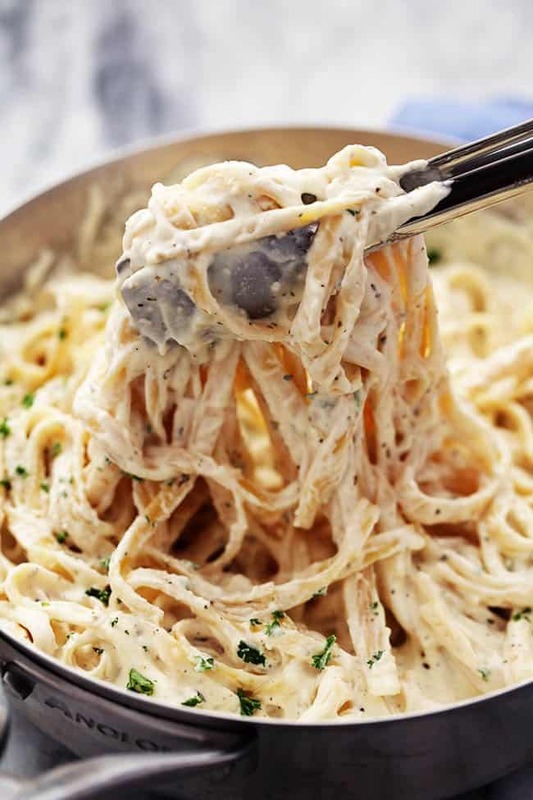 Alfredo Sauce just out of this world!!!! Where can I find your carb count? Or do I just brake it down by ingredients?? Can You use margarine or do you have to use butter ? You are welcome to use either one. They both will work out just fine. Just depends on what you prefer. Thanks so much for following along with me! I have made this a few times and always get Rave reviews! I stick it in the blender at the end to avoid the parmesan chunky & the texture is perfect. I just made this and added roasted chicken my goodness it is light, delicious and so easy to make! It is an Amazing recipe love it!!! Thank u this recipe is the Best! Great Recipe! I’m going to lightly sauté the garlic before putting in the sauce. It was a bit too raw tasting for me. Thank you! Have you ever tried adding Asiago? I have made this several times since discovering you recipe a few weeks ago. So look good, never going back to jar again. Thank you from me and everyone else who I’ve made it for. I no longer purchase Alfredo sauce in the jar. This is now my go-to recipe. My boyfriend absolutely loves it. The hype is real, this is Amazing! 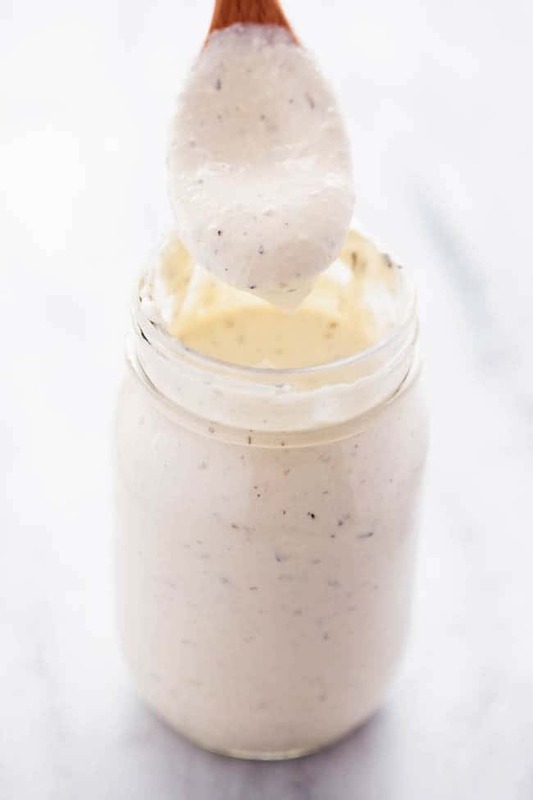 It’s the closest I’ve been able to find to duping the Olive Garden Alfredo sauce. Delicious! I made this recipe and added a little more whipping cream for thickness. It was awesome. My family’s favorite! This was really good, seemed a little thin to me so I added more cream cheese. I also added shaved Parmesan, Asiago and Romano and it put it over the top!! Very Good recipie, thank you so much for sharing! Best ever!! I used to get Alfredo sauce at a restaurant that I loved. The restaurant eventually closed. I yearned for that flavor for years until now!! This is it ( it is delicious! 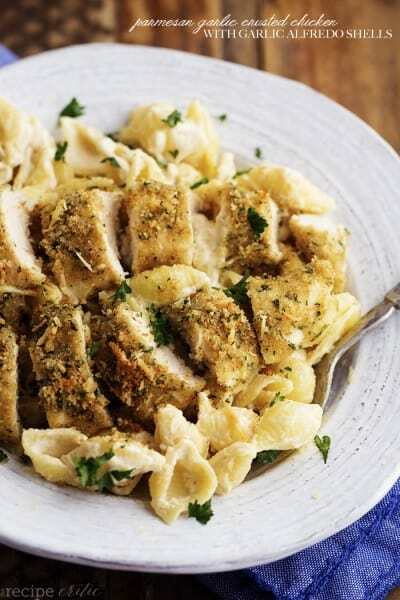 Creamy, garlicky & wonderful!! I am over 60 years old and had never made Alfredo sauce. I read no less than 20 recipes before deciding on this one. Excellent choice if I do say so myself because it turned out perfectly AND the best part is it didn’t separate when reheated the next day. So thank you for sharing this one. I will definitely make this one again. P.S. That’s a lot of butter but its tasty! Will decrease the butter for dietary reasons. I made this and my family loved it!!! I was amazing! Thanks! I agree. This is the best ever. My family loves it. I made this last night and OMG!!! It was so delicious and EASY! I will be making this recipe again without a doubt. I didn’t have shredded parmesan so I used shredded gouda and it was terrific. To anyone considering making this… MAKE IT! You will not be disappointed. Thank you for this excellent recipe. Thank you so much for the kind word and comment. I love that you loved it so much!! Thanks for following along with me!! This sauce was seriously amazing! Just made it yesterday for Valentine’s Day dinner. Totally a keeper! Can I double the recipe or do I have to cook 2 separate pans? Also, can I add sautéed shrimp? I’m serving 11 to 12 women dinner so 2 batches will feed them, right? Thank you – it sounds delicious and easy from all the reviews. You can just double the recipe and you should be good to go with amount. I think that adding some shrimp would be really good. Good idea!! Please let me know how it turns out. Thanks for following along with me! I seriously love this recipe! It’s super easy to make and tastes delicious. 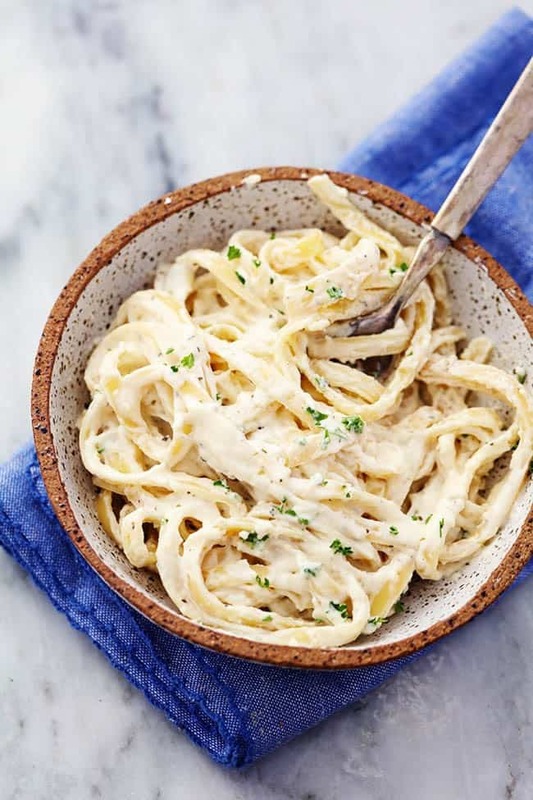 I have been on the hunt for years for a good Alfredo recipe, this is definitely what I have been looking for. What’s even better is that’s it’s already gluten free! As someone with Celic, it’s super great to find a recipe that I don’t need to change. Everyone that I have made this for have loved it. 10/10 would recommend. I have a question. It sounds delicious, but how many calories and how much fat per serving? Like everyone else, I’m trying to lose weight, not gain it! Thanks for following along with me. I typically use a couple of websites to track any nutrition facts. I use myfitnesspal.com and skinnytaste.com. I sure hope this helps. Please let me know how it turns out. I will never buy jarred Alfredo sauce again! So creamy and delicious! YAY! That sounds fantastic! Thank you for sharing and following along with me!